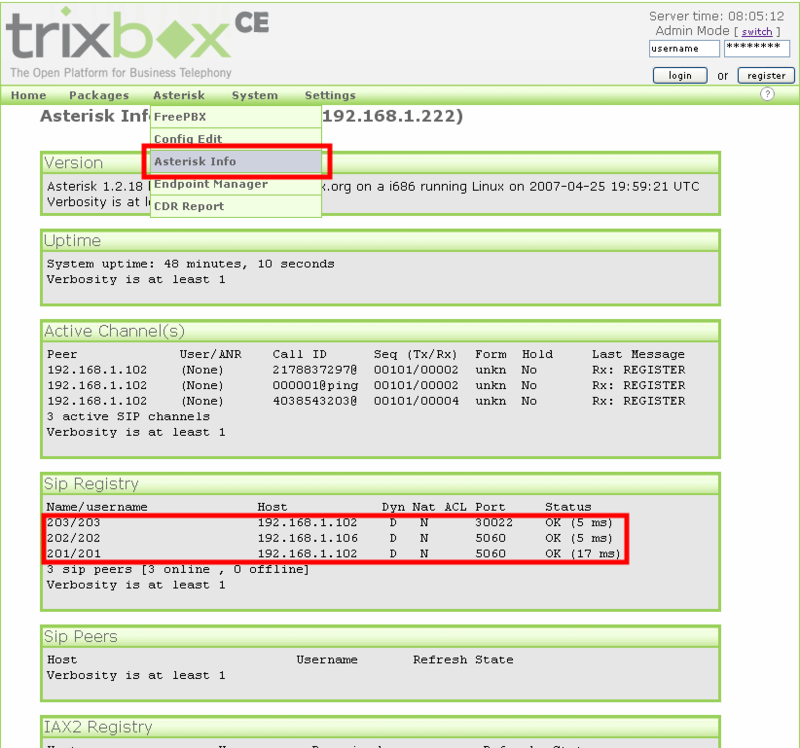 Once the instructions of the trixbox server tutorial have been correctly followed, our trixbox server should be configured with three extensions or phone numbers. 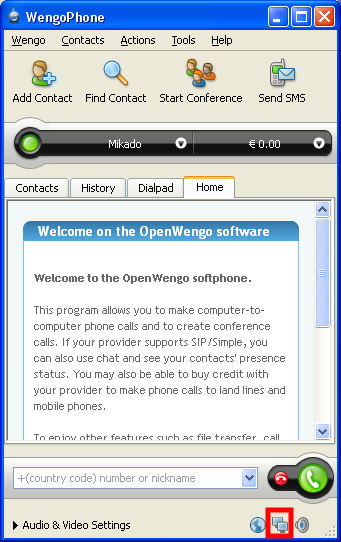 SIP Softphones are used on three laptops, two Windows and one Linux. 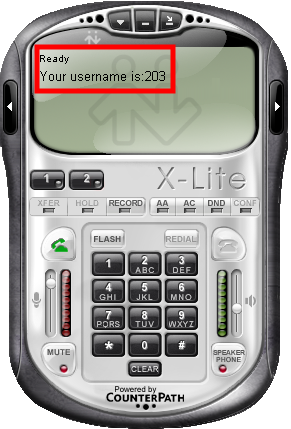 A softphone is a phone installed on a computer while a hardphone is a physical phone similar to a standard phone. 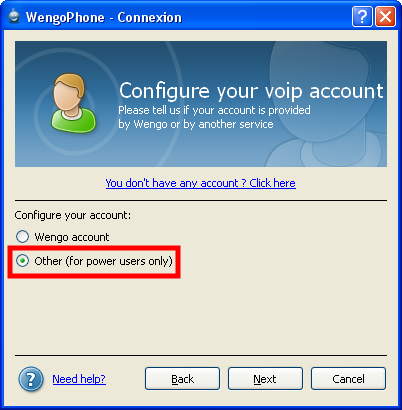 Depending on their possibilities, both phone types are capable of using VoIP. 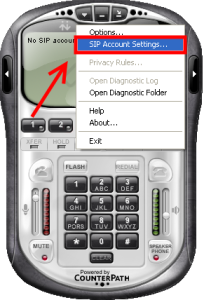 You can find a listing of Softphones on the Wikipedia or on the voip-info.org web sites. 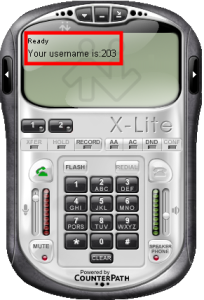 In our tutorial, we chose the following softphones: Wengophone, Twinkle and X-Lite. 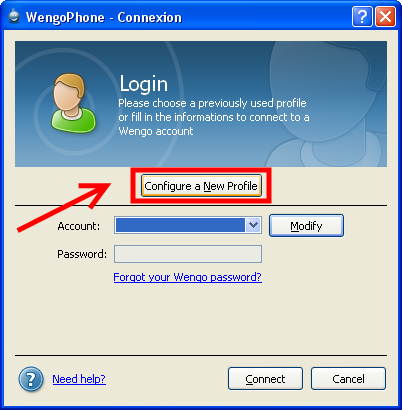 Download Wengophone, install and start it. 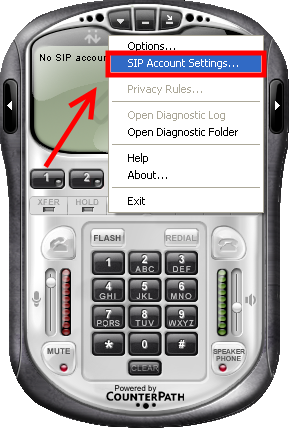 Click on "Configure a New Profile"
Select "Other (for power users only)"
The two little blue screens at the right bottom corner show that the softphone is now authenticated with Asterisk. 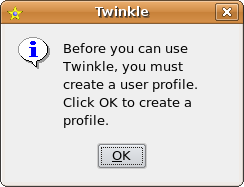 Twinkle is a softphone available on Linux platforms only. 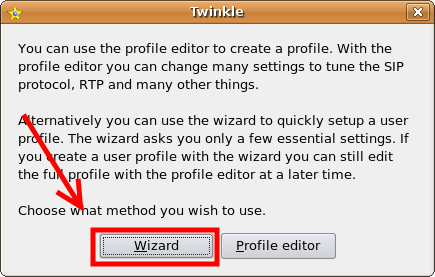 Click on "Ok" and "Wizard"
Choose "Other" in the "SIP service provider" scrolling list. 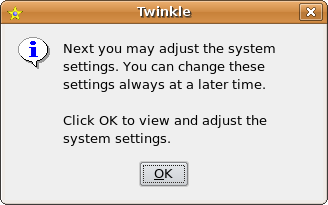 Click on "Ok" to access the system settings. 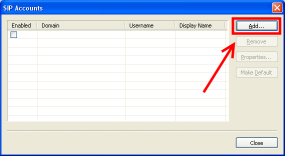 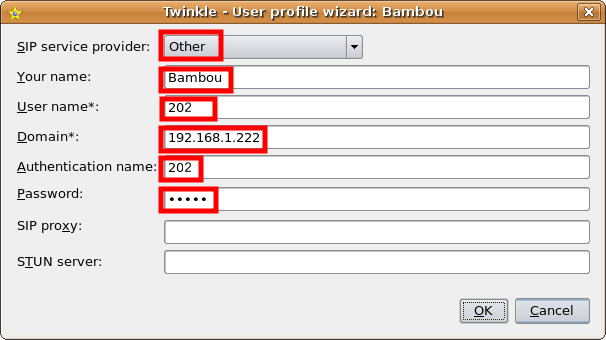 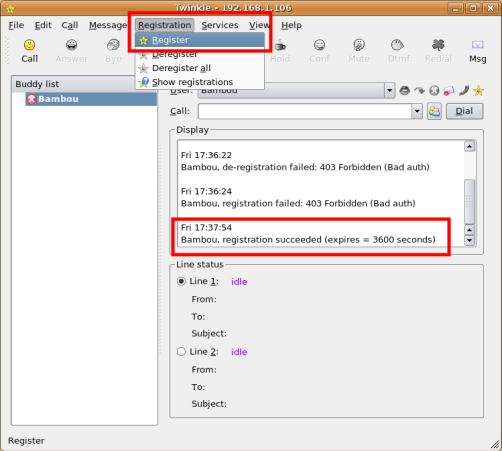 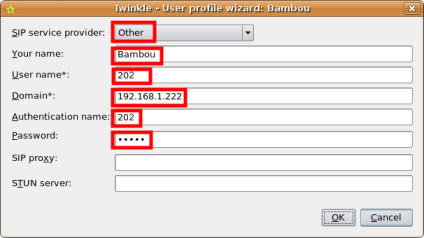 In the system settings window, check "Bambou" as the default user profile. 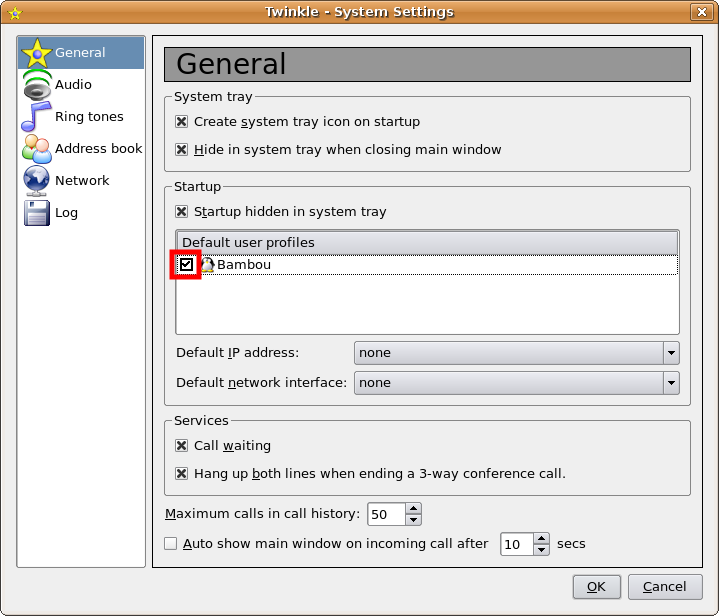 The softphone automatically gets authenticated with Asterisk. Download X-Lite and install it. Click on the white triangle. 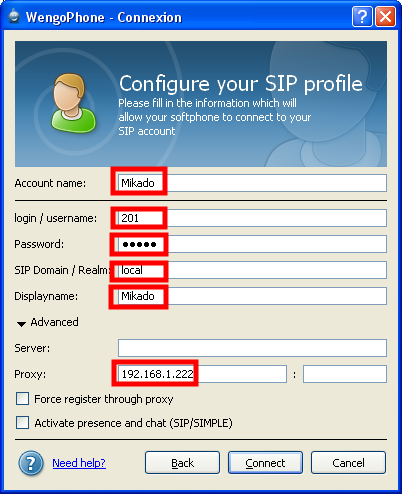 Select "SIP Account Settings ...". 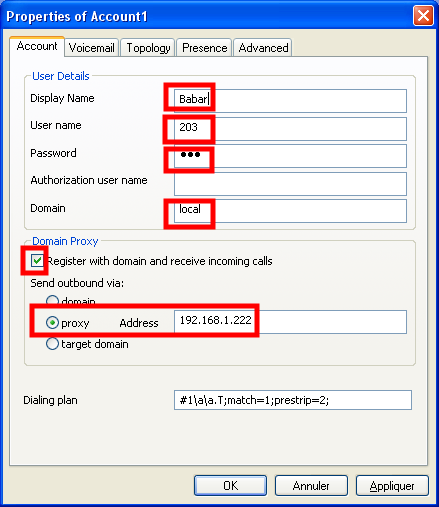 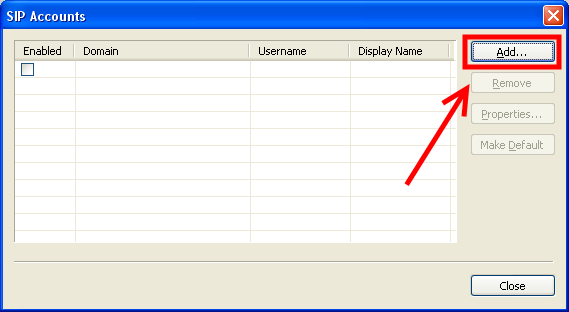 Check "Register with domain and receive incoming calls"
The profile is displayed in the "SIP Accounts" window. 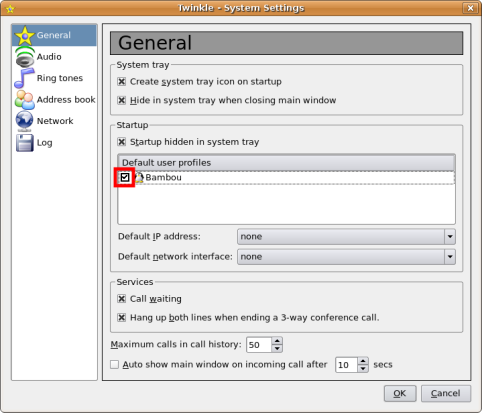 The softphone is now authenticated by Asterisk. 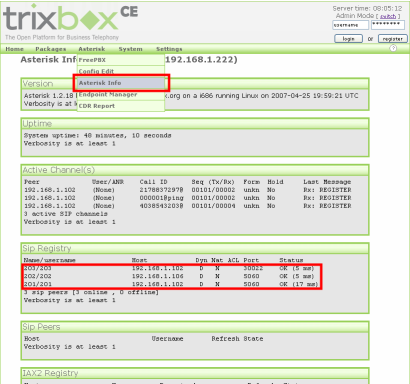 Select Asterisk -> "Asterisk Info"